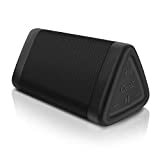 The OontZ Angle 3 speaker has been the best-selling portable Bluetooth speaker on Amazon for years now, and we have some great news: there’s a new updated version available. The new OontZ Angle 3 Enhanced Stereo Edition Splashproof Portable Bluetooth Speaker replaces the original model on Amazon, and it’s as good or better than the older model in every key way. Whether you’re a fan of the first-gen speaker or you’ve never heard of it but you’re looking for a great portable speaker you can use without worrying about splashes, this is just what the doctor ordered.